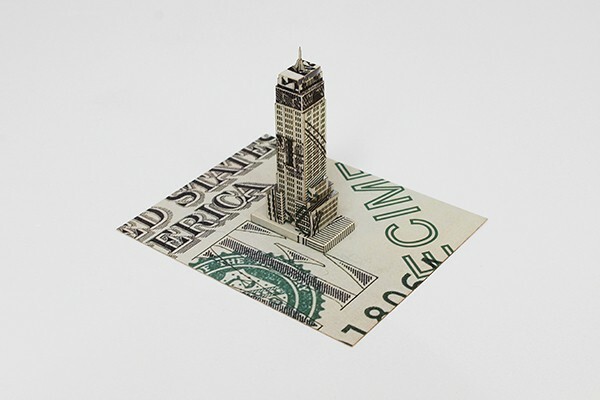 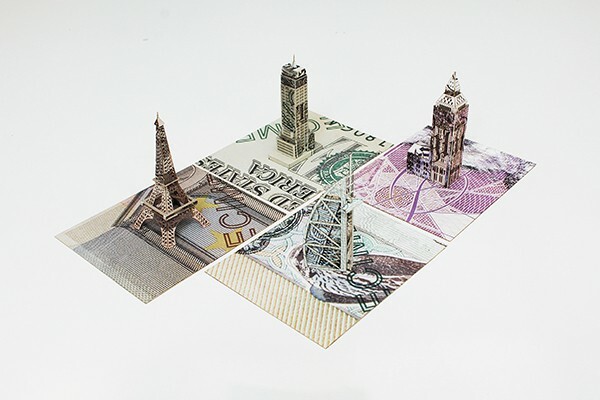 As part of promotional push for American Express, Chalk made 1000 miniature landmark buildings out of card. 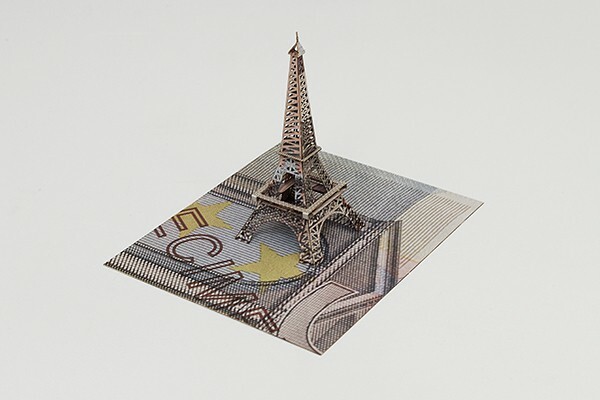 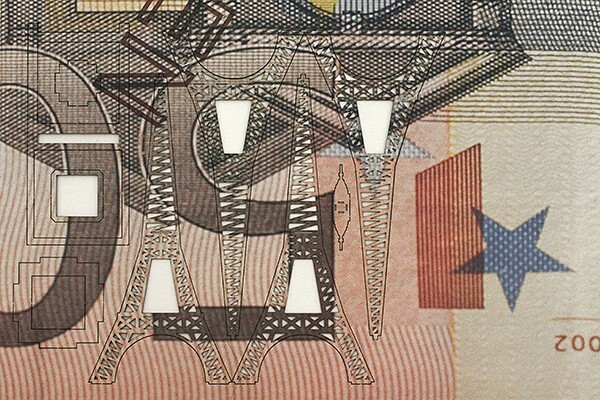 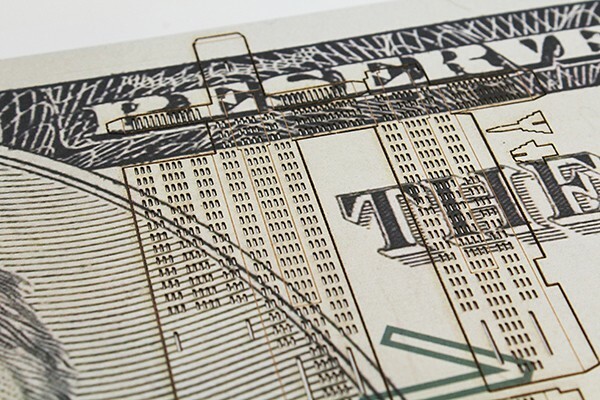 Each card was printed to represent the currency of the particular country which the landmark building represented. 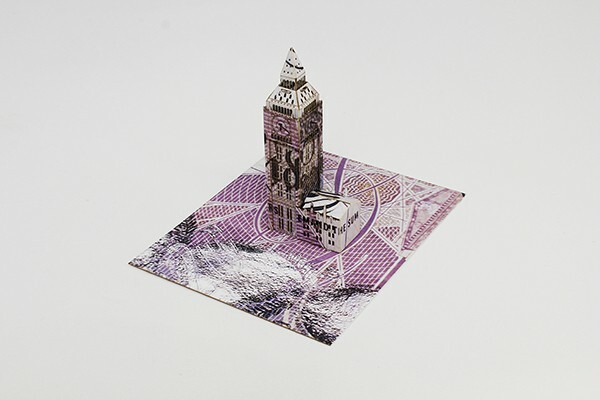 With a 1000 buildings to make, each one had to be carefully designed to fold together as quickly as possible. 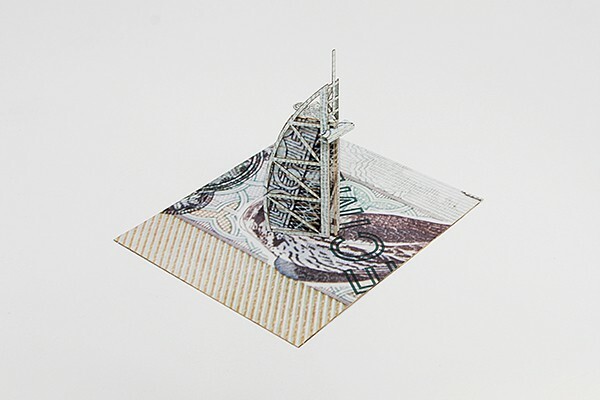 Each building was then laser cut out of a single sheet of A5 card in as few pieces as possible and we managed to get the assembly down to below 2 minutes 30 seconds.